In order for a camera system to be reliable it needs to be operational 100% of the time. A video system from Apollo Security Group is designed to minimize the impact of hardware failure, with automatic data archiving and backups, with protection from power outages, using secure network communication techniques. Unless a professional helps to design the camera system, there is a high probability that the camera system will not protect the exterior of the building and monitor the interior of the building. An experienced professional from Apollo Security Group will maximize the capability of the cameras installed. ASG provides high-end video surveillance systems that provide the best and most cost effective and long-term reliable solutions. Each video system is carefully engineered to the needs of the customer, maximizing the existing camera and IT infrastructures. Our core strength is our ability to design and install highly complex solutions for a wide range of applications. Our trained staff are certified to install systems for IP video that run multiple cameras on the same network to cover large areas or multi-sites. Our video surveillance solutions are state-of-the-art and are designed to provide maximum return on investment (ROI). We carefully evaluate ways to utilize the existing infrastructure and match this with the current proven technologies. 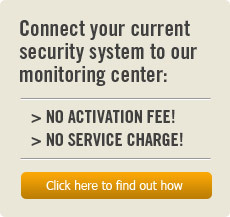 ASG will customize a security solution that protects employees, property, and is designed to fit your budget. The Mobotix T24 IP Video Door station has up to 3 megapixel and is capable of 180 Degree views. Communicate with your visitor from anywhere in the world. The Mobotix Q24 IP Video Camera is a weatherproof IP dome camera that has 3 megapixels and is capable of 360 degree views. A multi-purpose camera solution that can be also used for 180 degree views or split into quad views for four angles. Call us today or complete our contact form to schedule a free consultation with no obligation. Allow us to show you ways to start saving money today.